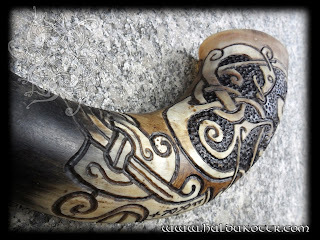 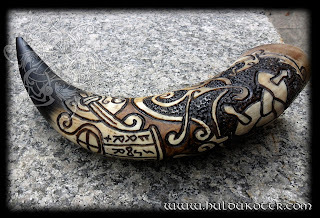 HULDUKÖTTR - Norse and Germanic Art: Óðrœrir drinking horn. 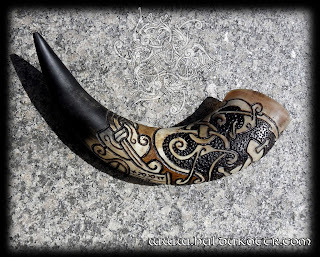 Nope, obviously it is not the "blank" horn of the last post. 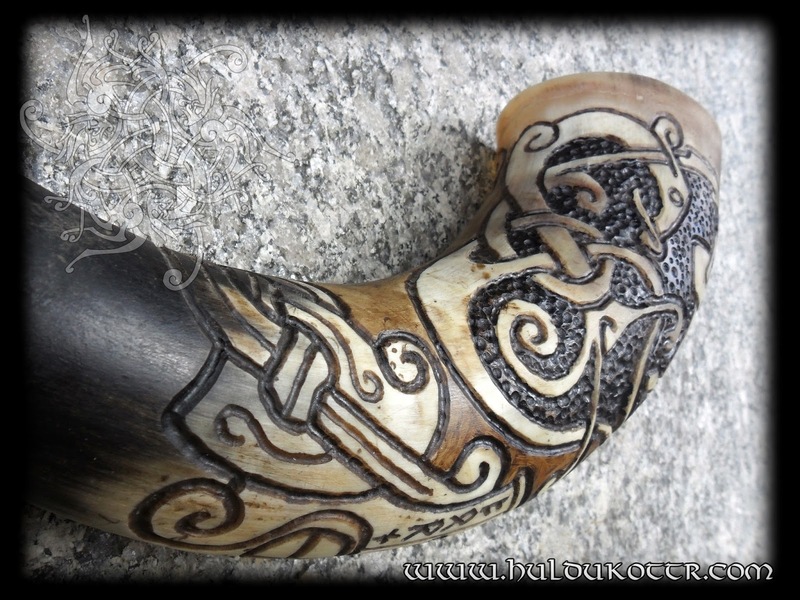 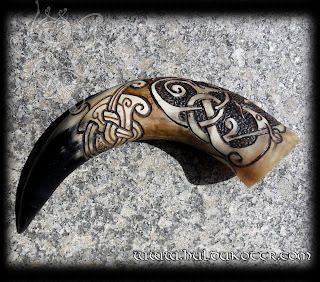 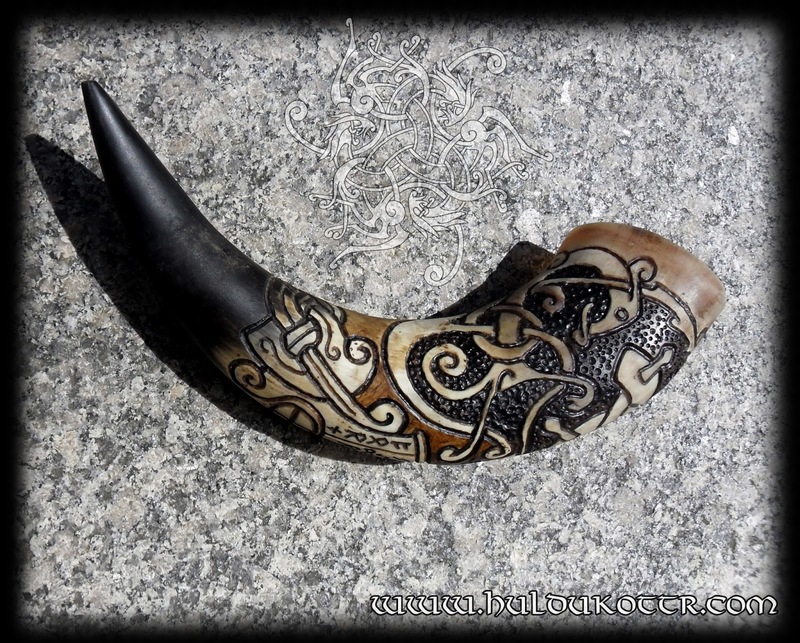 This is a horn that I have for sale here in the shop. 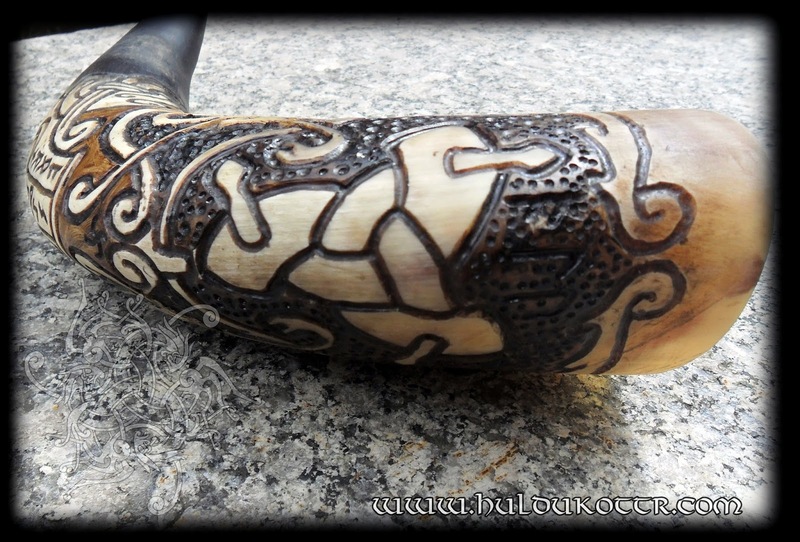 Meanwhile, new leather crafts and horn carving are on the run.